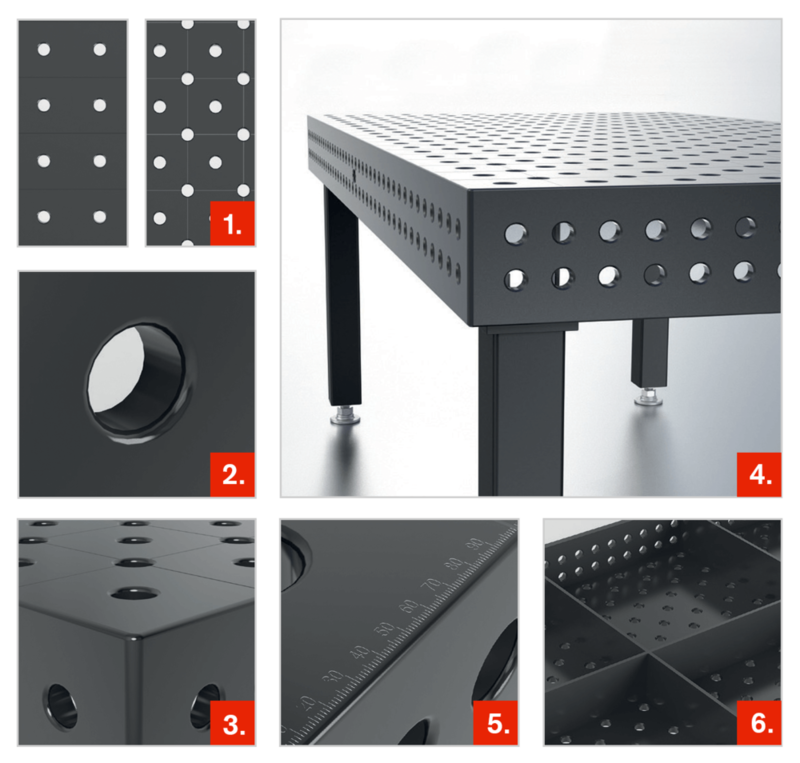 The ALL-NEW System 22 Welding Table Series: More Stable than the System 16 Series, (Item No. 4-220040.PD, also known as S4-220040.PD) More Cost-Effective than the System 28 Series. Approximate Table Weight: 2,366 lbs. / 1,073 kg. Leg Height (Adjustable): 17.7" - 27.5"
Table Height (Adjustable): 23.6" - 33.4"